Been a busy little bee over the last few weeks continuing to plan and organise my trip. I've been having internet issues and have had multiple attempts to book train tickets today, it's frustrated me so much I've decided I'd rather attempt to deal with blogger. I think that says it all! SJ has recently gotten into leather goods, just as a hobby and because he's wanted to 'try some things'. 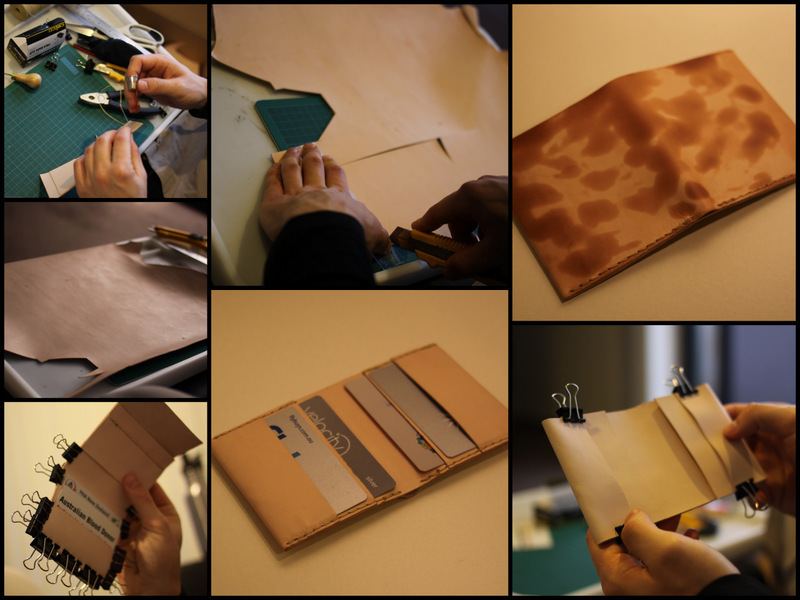 He made himself a wallet and a mini-wallet and has now started on a bag for his bike (that will sit under the seat). In the process, I was able to get him to make me a new wallet for my trip. I had been looking at wallets, I wanted something small but big enough to hold pound notes (which are bigger than Australian notes), I also wanted the ability to hold coins. I'm fussy though, I wanted it to be more of a wallet than a purse, I have plenty of those and they're all too big for what I had in mind. 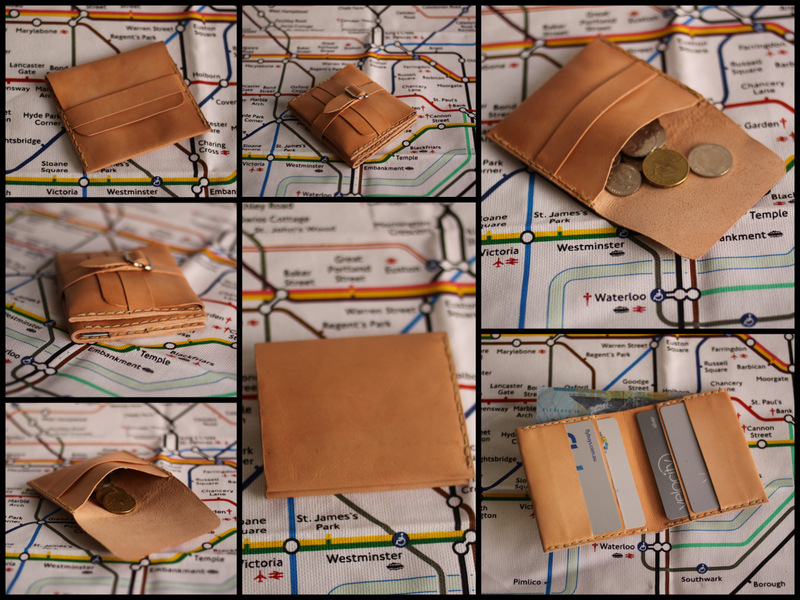 The final design ended up being two wallets, one is a bifold wallet that has four card slots (all I've worked out I will need) and a sleeve big enough to hold pound notes, the other is a small coin purse with a single card slot hidden inside. Then there is a buckled strap so I can hold them both together. 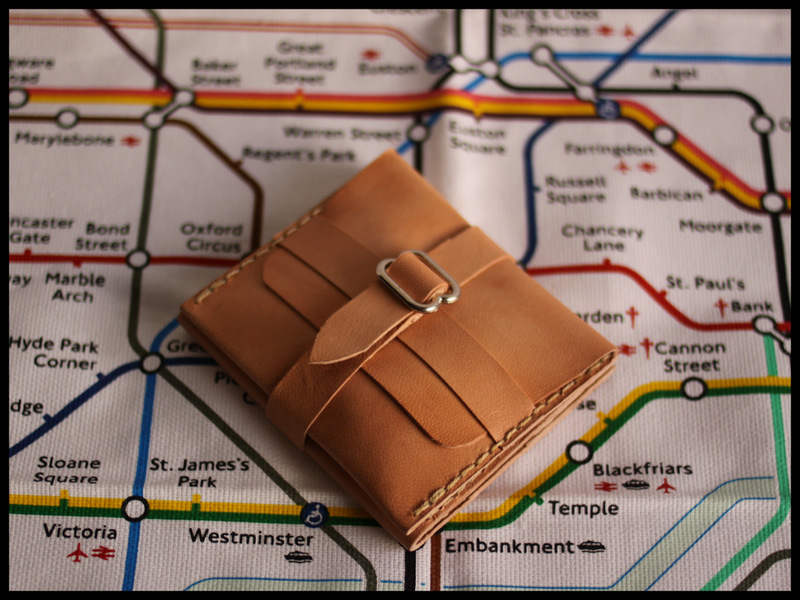 I liked the idea of two wallets for travel, it means that I can keep larger notes and my cards hidden if I am our in a local market or slightly dodgier area and just have the coin purse accessible. I can fit both or one of the wallets into my passport pouch (more on that in a sec). Since I didn't make it myself I can't really go into all the steps involved, but it was made using vegetable tanned kid leather and involved a bit of cutting, gluing and sewing. The picture of the wallet with all the watermarks on it is after I had oiled it, the oil seeps into the leather from the inside at different rates and has evened out by the next morning. It ends up a bit darker and more golden as per the final version. 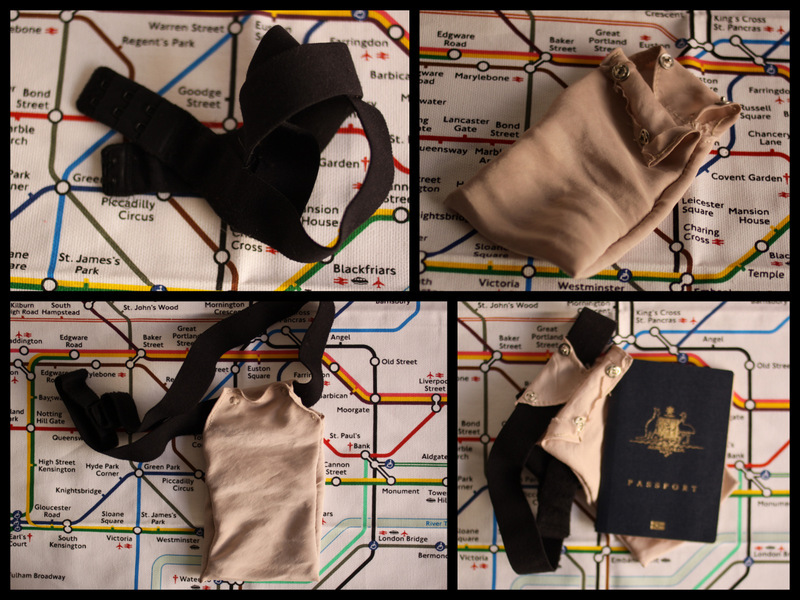 And here is my homemade Passport pouch/money belt. Last time I went to Europe I took one of those typical nylon neck pouches and spent most of the trip either with it safety pinned into my pants (over my thigh) or tucked into a zippered pouch on my bag. This time around I will be travelling in summer and don't intend to take any pants (well one pair of culotte shorts) so I knew that for this trip safety tucking it into my pants wasn't an option. I could have gone and purchased a money belt to wear under my dresses but decided to try and make my own first. I had an old silk shirt (which was ruined by someone in the wash and is now sleepwear) that had flouncy material heavy sleeves. I cut off the sleeves and had plenty of material to play with. I had a black elastic 'bra extender' strap which is too big for it's intended use (to make a bra a low sitting one?) but sits quite happily around my hips. I created a pouch that's big enough for the passport and my wallets and stitched it up. The silk was a bit of a pain to work with and stretched a bit, but it's going under my clothes and no one should see it anyway. I've tried it on under clothing and it's not visible, I can also twist it around (i.e. wear it in the centre or over my thigh) and it's lightweight and breathable and when it's empty it takes up almost no space. If I feel the need to protect my passport from 'the elements' (or it's a hot day and I might sweat) I've got a small clip seal bag that should do that job. 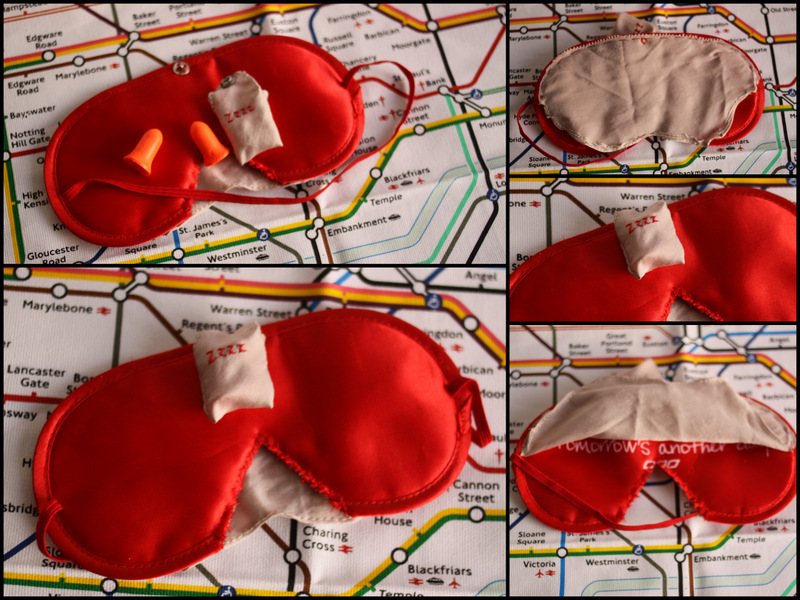 My second DIY project with my silk shirt cut offs was to alter my sleeping mask. I had an old sleeping mask (from Lorna Jane actually) that didn't do a great job. The red satin didn't block out enough of the light and the original shape meant it gaped over my nose and let in light. So I hacked it (literally). I cut a gap for my nose, lined it with the silk (nicer than the satin) and even made a little pouch for my ear plugs that clips onto the front. The wallets look great. Well done, SJ! Love your new wallet/coin purse combo! Katra is a great place for a stopover when you are touring the state of Tour Travel Hotels and Kashmir. It has some very good hotels and has some very heart-warming locales of picturesque beauty. This article speaks of some of the best accommodations in the city where you can stay. As a member of this online travel club you get free travel vouchers when you book directly with the listed movers packers pune operators from over 70 countries. I you do not want to join the club you can buy the same vouchers at deep discounts to their face values at an associated site.